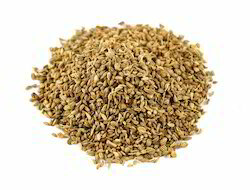 We offer wide assortment of ajwain to the clients. These are mostly used for preparing various cuisine due to their medicinal value. The ajwains seeds are widely known for their taste, aroma and freshness. Seed count per 10 g = 25.000-50.000 seeds. Spacing: 25-40 cm. Sowing: February under glass, April/May outdoors. Seed amount: Direct 70 g/100 m². For seedlings 1 g/1.000 plants, for pot growing 6 g/1.000 pots. Being one of the trusted firms in the industry, we are highly engaged in providing a unique range of Air Dried Thyme. Thymus vulgarisThyme is a legendary herb, known for its pungent, warm and lingering mouth-freshening sharpness. This herb can be used in many culinary preparations like soups, sauces, meat, poultry, egg dishes, vegetables and pulses. 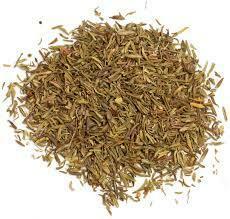 Herbal tea with thyme aids digestion, prevents and stops diarrhea, calms the stomach and eases cough and bronchitis.